A report by Ms Margret Jaschke, restorer and long-time employee of the MATENADARAN about an experience at the Institute of Ancient Manuscripts in Yerevan/Armenia. A customer had an old manuscript fitted with a new cover by a specialist at the Restoration Department. 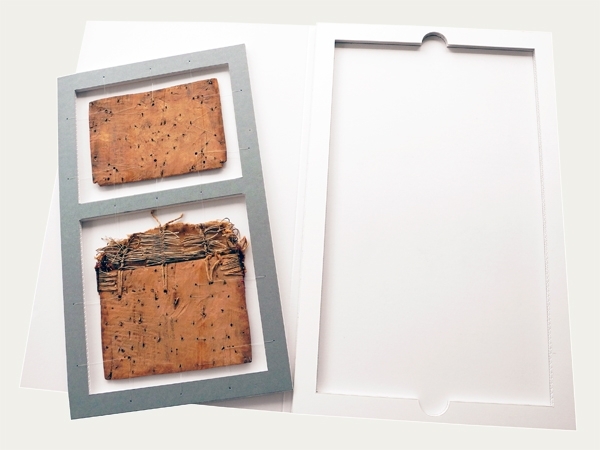 After hundreds of years of use, the paper manuscript (both block and cover parts) showed signs of severe damage. The customer was however only interested in ensuring continued availability of the precious evangeliary to his family, which led him to order a new cover for the restored book block. The restoration work was finished and the object had been returned to its owner, when I discovered the now superfluous “ownerless” (or rather “bookless”) cover. I asked if I could have the cover – now apparently of no value to anyone (except me!). The chuckle with which “the present” was handed over to me by my colleague clearly indicated that my request was considered somewhat peculiar. That was about 10 years ago. In the course of the many years that I worked at the MATENADARAN, I had come to realise how little people know about each other in the book and restoration sector. 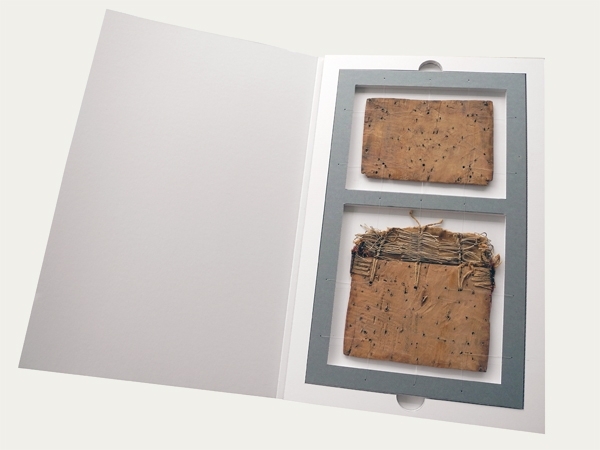 Western book restorers generally know nothing or at most a little about the special traditionally Armenian method of making book covers, while their Armenian colleagues are seldom aware of the very different development of the history of Western-European book cover making and current practices. 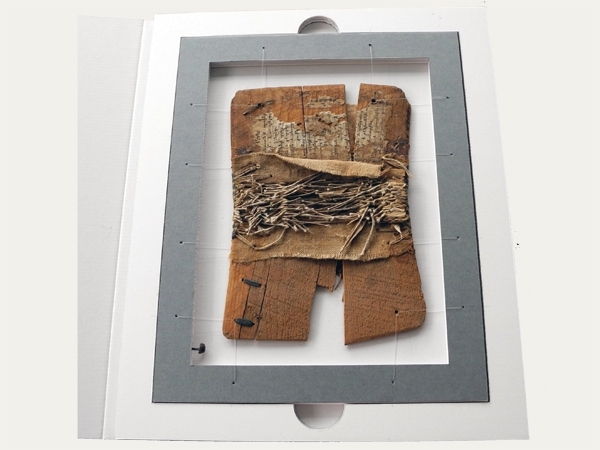 This orphaned and damaged – but original – Armenian book cover now speaks volumes about the development of Armenian book covers and book culture. It illustrates highly interesting typically Armenian details, such as a relatively thin (only 2 to 4 mm) wooden cover with a crosswise grain and its repair, coarse fabric fitted to the cover in the outer region of the spine, the type of endband and its attachment, saddle stitching, boreholes to fix book closures etc. Even the cut-open saddle stitching discloses plenty of information. 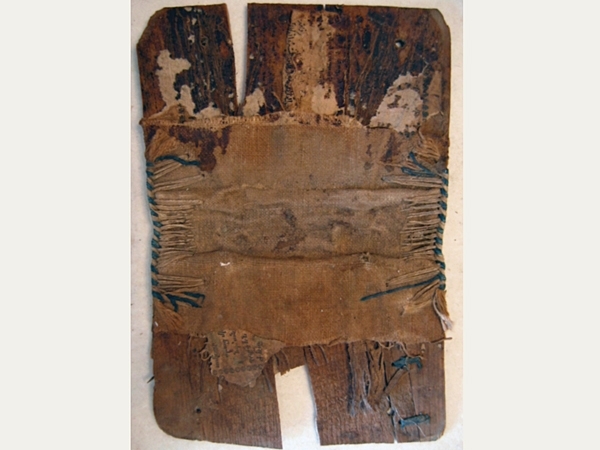 Experience has shown that passing these original and very unstable historical book covers from hand to hand frequently results in threads loosening or cracks in the wood getting bigger etc. eventually causing the existing substance to disintegrate. 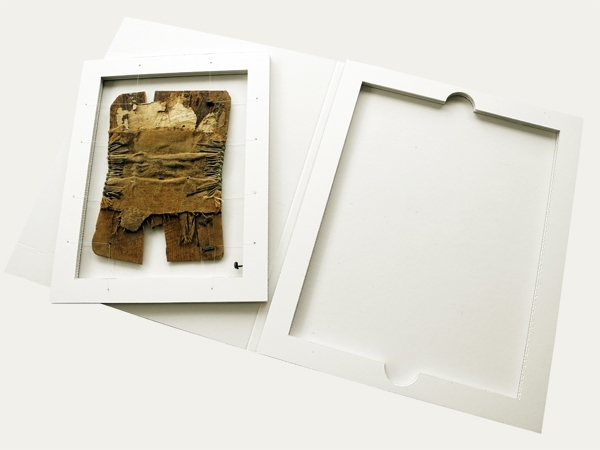 A customised preservation folder designed by KLUG-CONSERVATION has proved to be an ideal way to prevent this. The ingenious interior within a simple exterior folder design is moreover easy to transport. 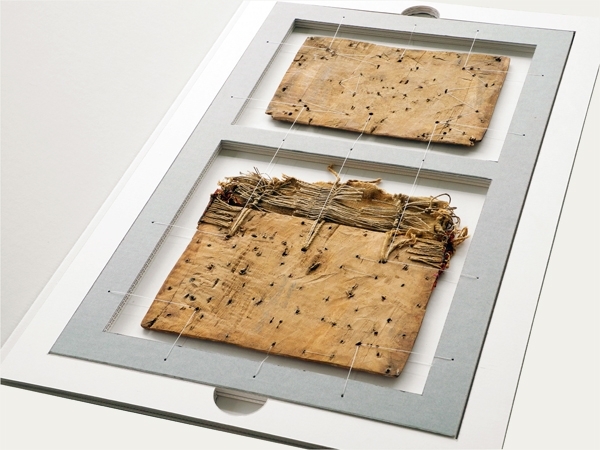 The precious cover is now suspended within a sturdy frame by means of nylon threads under slight tension. This frame can be easily removed from the base (thanks to two grip holes located on opposite sides). It can be turned round, depending on which side is to be inspected, without having to actually touch the sensitive object. I would like to express my sincere appreciation of the advice, constructive input (also in two other similar projects) and competence of the customer consultant as well as the superb practical realisation of my ideas by the staff at KLUG-CONSERVATION. Print version of the application example (PDF).